This fun Easter Egg wreath was so much fun to make with my daughter. 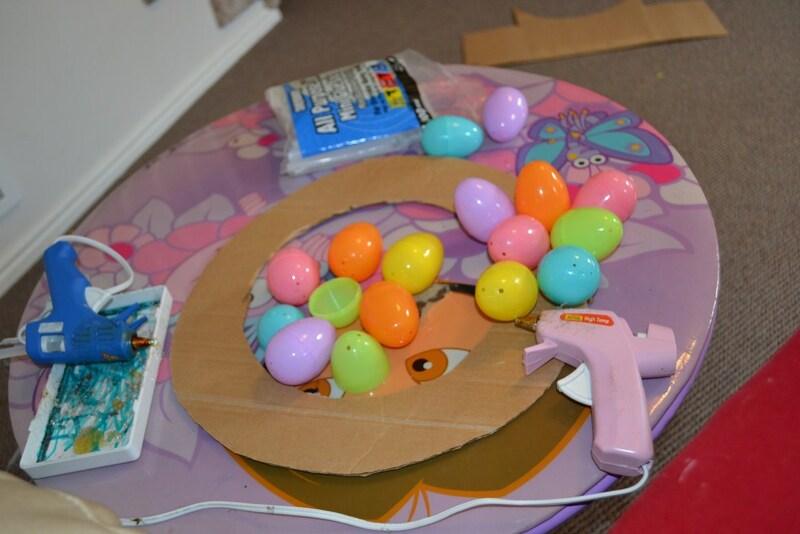 She LOVED hot gluing all the eggs. 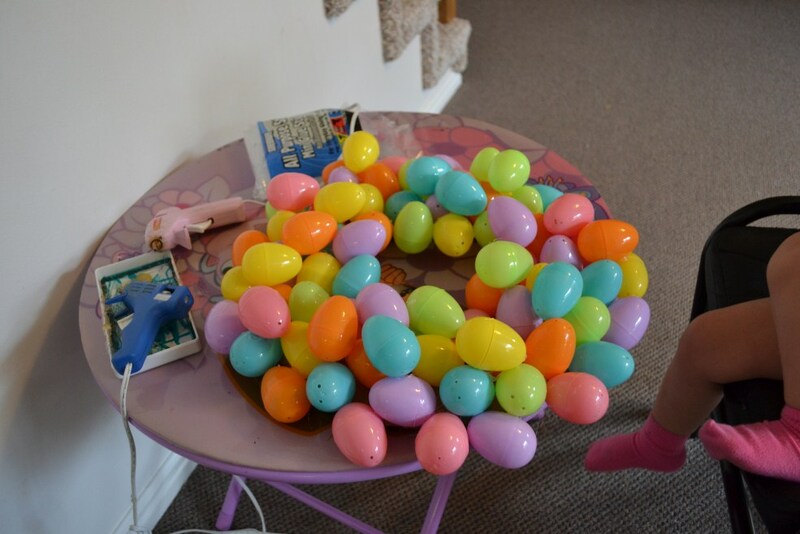 I even let go of my OCDness for a minute and didn't care so much where each egg went. I have had all of the supplies for this wreath for a couple of weeks but finally had time to sit down and help my daughter make it. 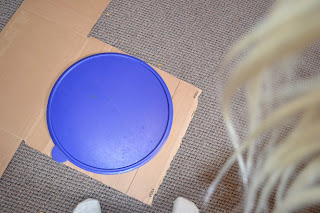 Find a piece of cardboard that is flat and then find something that is round (or whatever shape you are wanting) and trace out the shape. Now take your hot glue gun and glue the eggs randomly onto the wreath. I used 2 packages of 42 eggs to make our wreath. The wreath measures about 16 inches wide. 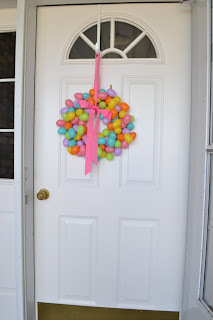 Then we tied a nice little bow with grosgrain ribbon onto the wreath. 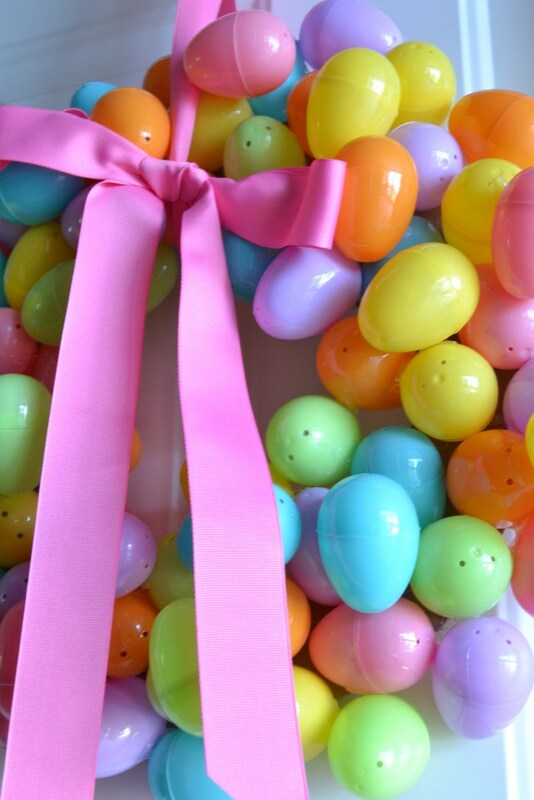 Great use for those pesky eggs! Thanks for posting this link on my blog! Stop back on Sunday to see if you won! Now this is simply cute!! I believe I am going to have to make one myself. :) Thank you for linking to my K.I.S.S. 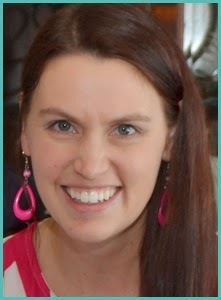 blog bash this past week. I so appreciate you taking the time to share your charming craft. Today is another blog bash, if you haven't already, please drop by & share more of your inspiring ideas! Found you through Sumo's Sweet stuff! That is fun and easy. Thanks for sharing! I am visiting from the Sister's Stuff blog. I hope you have a great week! So pretty! I linked up to you on my blog...I really hope to make one of these this week! 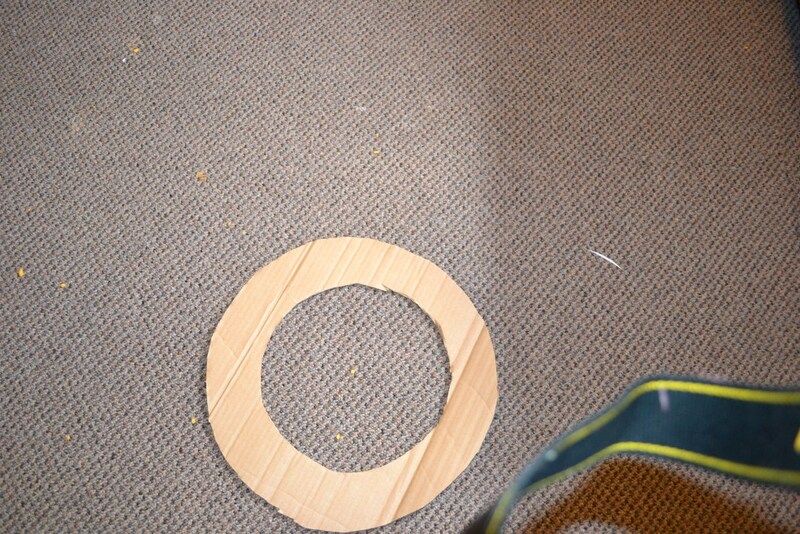 How big is your cardboard circle? I've made two, but they seem really small to me. I found this on pinterest, and I love it. But what size is the cardboard base? I've made a couple different sizes, but they seem too small. I hate to get started just to find out it's super small. 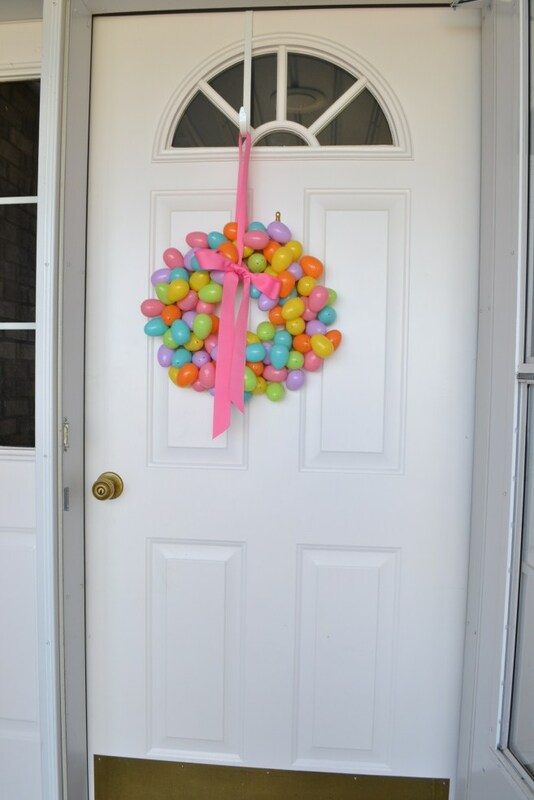 What a cute wreath. I love how easy it is too. 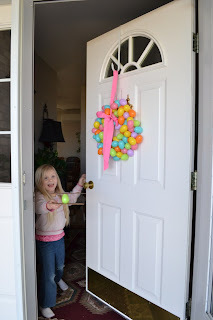 Linking up from Motivational Monday! 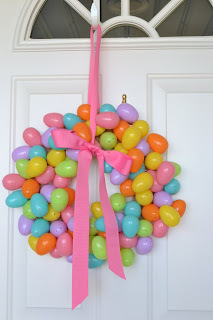 Pinning to my Wreath board. Looks great. This is so adorable!! I need to make one! Love it! I am 78 and have never seen anything this pretty and so easy to make. 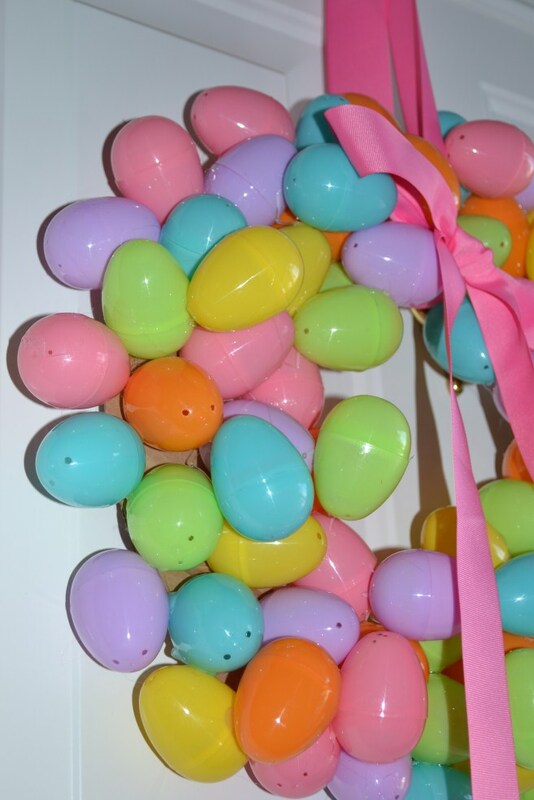 BY Friday there will be one on my door, that is, if the children, grandchildren and great grandchildren do not eat all the eggs first. Hi there! Stopping by from the Wonderful Wednesday Blog Hop. This looks so fun and cute! Thanks for sharing! 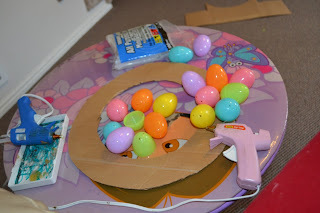 I have the cardboard, I have the glue gun, I guess I am going to be buying more Easter eggs this weekend to make this!